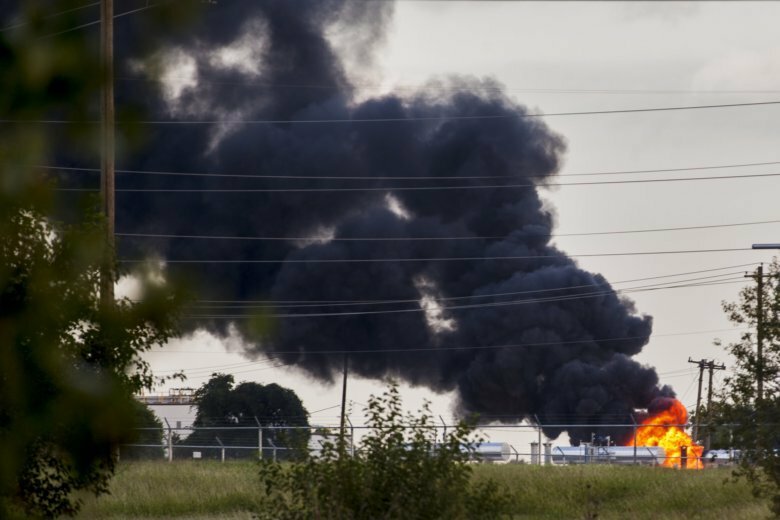 OKLAHOMA CITY (AP) — Firefighters say a fire that sent thick, black smoke from a 7,000-gallon (26,500 liter) oil tank at an Oklahoma City power plant has burned out. Battalion Chief Benny Fulkerson said Friday that the fire in an insulated tank containing heating oil at the Oklahoma Gas & Electric plant burned out Thursday afternoon. The fire started Thursday morning. Fulkerson says firefighters and plant workers isolated the product from the tank and the flames died out when the contents of the tank burned away. The fire forced the evacuation of more than a dozen nearby businesses and firefighters warned the public to steer clear because of the smoke. Fulkerson says evacuations were lifted about 2 p.m. Thursday.